I recently read and reviewed Nobody Has To Know by Frank Nappi. It is a powerful thriller and I was gripped by it. Frank is currently on a blog tour with Tribute Books for Echoes From The Infantry and, since I was impressed by Nobody Has To Know, I asked him to visit Ascroft, eh? to talk about Echoes From The Infantry. Welcome Frank. Let’s get started, shall we? FN: Echoes From The Infantry is the tale of one Long Island World War II veteran, the misery of combat, and the powerful emotional bonds that brought him home to Rockaway Beach and the love of his life, Madeline Brandt. It is about a father and son, and their ultimately redeeming struggle to understand each other’s worlds – one a world at war, the other shaped by its veterans. The book, which has been described as an artful movement between the present and past, is a stirring fictionalized tale of this Long Islander’s struggle to reconcile with the demons from long ago and his family’s never ending battle with many of the intangible burdens caused by the private life of a man they never really knew. FN: My motivation for writing anything has always been simply a genuine interest in the human condition — more specifically, what makes us act and react in the manner that we do. Human beings are so very complex and are often immersed in situations that result in a struggle of sorts. This sort of drama exists all around us. Whenever I observe a facet of this condition or struggle, I am intrigued and ultimately compelled to explore it further through fiction. This has caused me to become very versatile in my literary endeavours. While many writers remain faithful to one genre, mostly because they possess an affinity for that type of writing, my inspiration comes from a true penchant for exploring that about which I am most passionate. Consequently, I have travelled down a rather eclectic path, ranging from the horrors of WWII and the insidious residue of war that destroyed so many veterans and their families, to a 17 year old autistic baseball player in the 1940’s who inspires others around him to become more tolerant and understanding, to a young teacher whose indiscretions lead him down a dark and self-destructive path. Clearly these stories are all unique in their own way, and fall into very different genres. However, what binds them together is that same basic element that really defines who I am as a writer – someone who is moved by the human struggle. So many of my life experiences have inspired me. It began with a most fortuitous encounter with two very special WWII veterans with whom I became very close. Mr. Bill McGinn and Mr. Eddie Hynes changed my life forever. Their willingness to share with my classes their poignant reminiscences of their time in war torn Europe and also the subsequent obstacles they faced once they came back home was truly the most compelling moment in my classroom. They visited for years, and the three of us became very close. The time I spent with both men, both in and outside of my classroom, was life altering for me. I have had other moments like this as well, each which has found its way into my fiction. My work with Challenger Baseball and Best Buddies brought my Mickey Tussler series to life and my twenty five years teaching in a high school exposed me to some of the difficulties that our young people sometimes face – difficulties that make leading a “normal” life an impossibility. However, the WWII era as described to me by these two very special veterans led me to explore this epoch even further. FN: Like all historical fiction, the crux of what I have revealed is true. The rest is artful embellishment, resulting in a true amalgamation of fact and fiction. However, for those history purists who have to know in more detail just how “truthful” the book is, I’d say a safe estimate is about 80%. FN: All of my research was confined to interviews of about 135 WWII veterans, with the emphasis being placed on the reminiscences of Mr. Bill McGinn and Mr. Eddie Hynes. These two men experienced more in their time overseas than all of the others combined. FN: Echoes does not contain any historical characters. The soldiers depicted in the novel are again composites — personalities drawn from the men with whom I spoke. In some instances, creative license was used to convey a certain idea or concept. This was not very difficult to do, for my friendship with these men allowed me to gain access into the psyche of the WWII soldier both during and after the war. FN: For the most part, when writing about the battles that took place in Europe, I was simply replicating events that were told to me. The characters are true representations of young men and women of that time. In addition, I am somewhat of a 1940’s buff so the “color” of the time came easily — things like slang, music, film references, pop culture, etc. Since the book vacillates between past and present, the current scenes were easy to create. 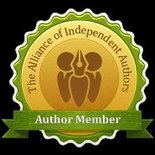 FN: Naturally, authors have an easier time writing about same gender characters. Makes sense. I do feel, however, that most authors are also students of human nature; consequently, the ability to create characters from the opposite gender is quite possible. And in fact, at times, this is more challenging and rewarding as well. Thanks for answering my questions, Frank. I also have an interest in the Second World War era and have written about it so I enjoyed learning a bit about the background to Echoes From The Infantry. Readers who wish to peek inside the first chapter of the book may do so here. You can also learn more about Frank and his work at his website and his blog. And the first person to comment on this post will receive a free copy of Echoes From The Infantry ebook. 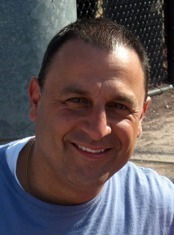 About Frank Nappi: Frank has taught high school English and Creative Writing for over twenty years. His debut novel, Echoes From The Infantry, received national attention, including MWSA’s silver medal for outstanding fiction. His follow-up novel, The Legend of Mickey Tussler, garnered rave reviews as well, including a movie adaptation of the touching story “A Mile in His Shoes” starring Dean Cain and Luke Schroder. Frank continues to produce quality work, including Sophomore Campaign, the intriguing sequel to the much heralded original story and the just released thriller, Nobody Has to Know, which received an endorsement from #1 New York Times bestselling author Nelson DeMille. Frank is presently at work on a third installment of his Mickey Tussler series and his next thriller. He lives on Long Island with his wife Julia and their two sons, Nicholas and Anthony. 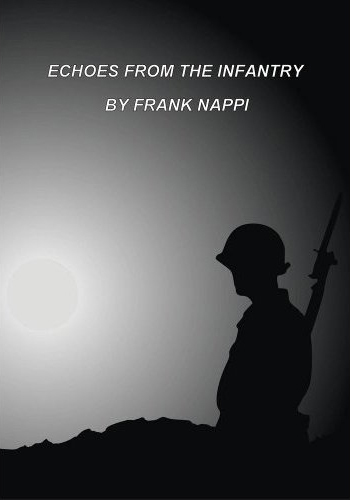 This entry was posted in February 2013 and tagged American fiction, author blog tours, Echoes From The Infantry, Frank Nappi, historical fiction, Nobody Has To Know. Bookmark the permalink.